Do you know what is malware and what are different malware protection and malware removal mechanism? The term malware is short for “malicious software.” It refers to any computer program that is designed to do things that are harmful to or unwanted by a computer’s legitimate user. Virus, adware, backdoors, spyware, Trojans, ransomware are the various forms of malware. 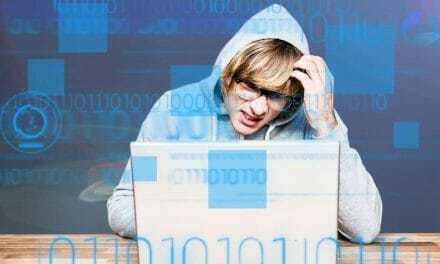 The purpose of malware is to partially control the user’s computer for reasons such as subjecting the user to advertising, launching a DDoS attack, spreading spam, tracking user’s activities, etc. It may spread physically, via CD or floppy or Hard Disk, via email, through softwares, and also through external storage devices like USB. Let’s understand 3W’s of malware before diving deeper. Once these are discussed, we will move on to other areas like the new malware threats and the detection and protection measures as well. When and how did they come into existence? Why do we have so many malwares? It is a software intended to take partial or full control of a computer’s operations without the user’s consent. This kind of software continuously monitors tracks the user’s activities and then commits fraud at one point of time causing the victim great loss. The malware can be used to steal personal information and valuable data, destroy data, cause the denial of service, cause substantial loss of system performance, etc. Sometimes it can even disable the firewalls and anti-virus. Also, it can reduce browser security settings opening the system to further infections. Today, malware is used by both black hat hackers and governments and companies, to steal personal, financial, or business information. The difference lies in the fact that the black hat hackers do it with evil intention and to cause harm to people, but the government does it with good purpose and in the interest of public in conditions of necessity. Famous is the incident when Sony corporation planted a Trojan horse in their CDs with the intention to prevent illegal copying. Besides, it secretly captured information about the listening habits of the end user and sent to the parent company. Few of the top malware infection vectors which were included in the 2018 report include trojans like Kovter, Emotet, Zeus, NanoCore, Redyms, Ursnif, botnets like Mirai, and adware like CoinMiner. Malwarebytes Anti-Malware, BitDefender Anti-Virus, Adaware Antivirus, SUPERAntiSpyware are some of the best free malware removal tools available in the market. Following which, in 2000 ‘Code Red’ had originated and surprisingly it spread around the globe in just a few hours. Code Red had mainly infected the windows servers. Nobody had tried to make money with viruses until ‘Fizzer’ in 2004. In 2007 the worm named ‘storm’ was identified as sending spam emails, and it had affected over 1 million computers. The Trojan horse ‘VB Mania’ was discovered in 2010. Then in 2016, the Trojan ‘Tiny Banker’ had affected the US on a large scale. So we can see that different forms of malware have evolved with time. The purpose of making and deploying malware has also changed over time. Malware is created for simple reasons like making money, stealing personal account information and above all for causing trouble to others. Say for example in the case of adwares once the malware has entered the victim’s computer, every time the victim clicks on the ads it will fetch money to the attacker. Similarly, with the help of malware, an attacker could even gain access to a victim’s account and misuse his personal data. Think of your PHI (protected health information) data, social security number getting into the hands of evil people. Isn’t that terrifying? The attacker enjoys the havoc and trouble faced by the people and companies after crashing their computers and network system. This excitement of watching the victim suffer gives them the energy to design more malwares. The malware infections are also increasing also because the users are ill-educated. Sometimes even the vulnerabilities in the software and poorly designed computer systems also lead to the distribution of viruses and worms. Now, as you know what is malware, lets discuss different categories of cyber threats which can be categorized as malware. This kind of program has the capability to replicate itself and spread to other programs by modifying them and inserting its code. Viruses are the most common malware that we hear. The worms are programs that multiply like viruses and also have the capability to spread from one computer to other. A Trojan can be any malicious computer program which misleads users of its real intent. Users are typically tricked by some form of social engineering into loading and executing Trojans on their systems. They can delete data, block data, modify data, copy data and disrupt the performance of computers. It is a programming code inserted intentionally that is designed to execute some malicious function when specified conditions are met. These conditions could be a lapse of a certain amount of time or the failure of a program. It is a kind of malicious software which presents unwanted advertisements to the user of a computer. The advertisements are in the form of a pop-up or un-closable window. Every time the victim clicks on the ad, the attacker makes money. A botnet is an interconnected network of computers infected with malware without the user’s knowledge and controlled by cyber-criminals. They are used to send spam emails, transmit viruses and engage in other acts of cyber-crime. 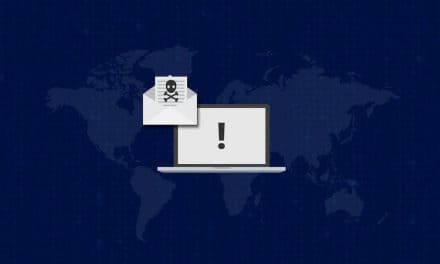 It is a form of malware wherein the hackers gain illegal access to the victim’s computer, encrypts the files and demands payment in return for the decryption key to restore the files back. The biggest attack was the WannaCry attack in 2017. Internet of Things is a growing technology, and it enables multiple household devices to be connected for easy communication. The communication takes place with the aid of the internet. Given their sporadic and broad uses these days, they could have several vulnerabilities. The hackers can quickly identify such vulnerabilities and break into the network using a malware ultimately leading to a DDoS attack. With the advent of smartphones, the target of the attackers has now become mobile phones more than computers. Some of the mobile features like internet facilities, location tracking facilities and portability has made it more prone to attacks. The attackers with the help of right malware get into the phone with the help of the inbuilt phone features like phone camera or bluetooth and thus can eavesdrop the conversations or steal the photos, videos or chats of the user. Like any other malware, it can also even steal your personal information. It includes signature detection at the initial level by looking at various characteristics. But signatures are not enough, so the later stage includes data mining, pattern matching implementing algorithms like neural networks, Bayes network, Hidden Markov Model, etc. It finally generates an evaluation report and can also help infected files. Programs specifically developed to combat malware. They provide real-time protection by scanning all the incoming network data at regular intervals. It can block any threats it finds during the scan. It acts as a barrier to the traffic passing in all directions. It operates as a filter at the level of IP or higher protocol layer. The external firewall placed in the middle of the internet and web server is to block the untrusted external users or ransomware or viruses. The internal firewall is to prevent the outsiders or external users from accessing the internal network and limiting what internal users can do. It is a security mechanism for safely running untrusted programs. It provides a tightly-controlled set of resources for guest programs to run. E.g., Virtual Machine (VM) emulates/imitates a complete host computer on which an entire operating system can run. It is a challenge to detect rootkits at the kernel level. Present tools for this job include chrootkit and rkhunter. But it is probably better to reinstall the operating system from scratch because there are inherent limitations with the programs which attempt to detect the rootkits. Once the infection has been detected, the malware has to be removed to restore the program to its original state. Apart from this, the cyber security practices should be followed to protect your data and your devices from falling prey to the malware. The anti-virus software, firewall, operating system and software patches should be updated from time to time. 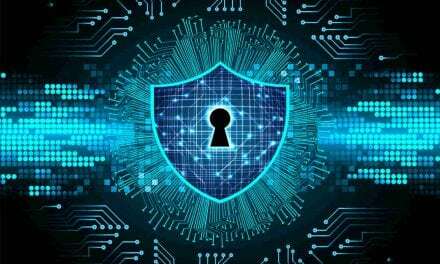 Also, the unwanted applications or programs also known as grayware once identified should be removed from the system to avoid any future security risks. Malwares are malicious program codes used to carry out illegal activities thus causing harm to the computer, network or end user. It can get planted either by software, external portable devices, emails or some executable code. The tussle between flexibility and security will continue to introduce vulnerabilities. Albeit cyber security is getting strengthened with time but so are the cyber criminals who keep inventing new malicious softwares. Besides, the high cost of security tools is also a deterrent. The only way is to be alert and be prepared in case you do get caught on the wrong foot. Hold tight so you don’t fall. PreviousCrown lengthening Procedure – Why Do You Require It?